For Your Best Move Call The Carla Viviano Team Today! Full of energy and drive, Carla's unwavering commitment to getting results has made her a nationally recognized REALTOR® and a top professional. Her extensive training and use of the latest tools always keeps her two steps ahead of her clients' needs. Yet with all the benefits that technology and education offer, she never loses sight that every transaction is about the people, and it's her thoughtful, hands-on approach that clients appreciate most. Are you considering selling your home? Are you just curious to see what your home is currently worth? Whatever your situation may be, I'm here to help! I will compare your home to other homes near you to see how you you stack up to the competition. Discover your home’s value. Get a FREE home value report! Carla was great! Huge help with us and always met us late to meet around our schedule. She led us to the home of our dreams! Very kind and listened to what our needs were. Carla’s strong presence in our area was what drew us to her. Her real estate knowledge helped us through the process and her experience in negotiations proved invaluable. We give her our highest rating. Conducted the sale with expertise and knowledge for the local area. Handled issues with reaching out the buyers agent, lender and underwriter when closing was being modified for weeks. House sold in 8 days should be proof she can get the job done! 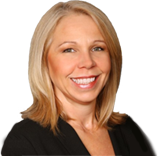 I would highly recommend Carla to anyone buying or selling a home in the Mt Airy area. She is very knowledgeable of the schools as well as each of the neighborhoods in and around Mt Airy. I both purchased and sold my house with Carla and her team. She was not only extremely responsive and knowledgeable, but just an overall lovely person to work with. I would recommend her to anyone.